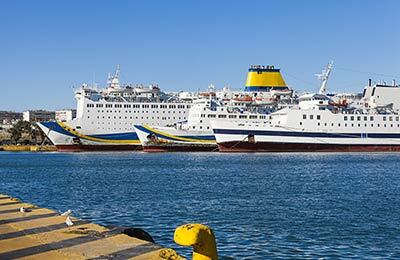 Book a Paros to Limnos ferry today with AFerry. Just use the form above and choose the route that you want. If nothing appears automatically, start typing Paros. You can also type the country or even the name of the ferry company you are interested in. When you have the route that you want, choose single or return and all the other options you want. If there is more than one ferry company operating on the Paros Limnos route we will show you all the ferry companies, to make sure you get our best price. We'll also show you any routes similar to Paros to Limnos so you have the complete picture when making your booking. And of course you'll also see a range of times just in case it's a bit cheaper earlier or later than your preferred booking time. Once you've chosen your perfect sailing and have made your booking we'll email you your booking confirmation for your Paros to Limnos ferry. The majority of tickets have instant confirmation. Below you can see the ferry company or companies that sail on the Paros to Limnos route and the journey times. You might also see some recent prices our customers have found. The best way to find a cheap Paros to Limnos ferry though is to use the form above today to see all of our possible choices. With AFerry we always give you our best prices for ferries from Paros to Limnos. No matter which page you book from we always include all our special offers. And there is no need to look for a discount code. If we have an offer available, your ferry price will include the reduction or offer. There's no need to look at other websites. If you're not sure if the Paros to Limnos route is right for you or you can't decide between ferry companies, if there is more than one, you might also find it useful to read any reviews we have available. We ask all our customers to send us reviews for Paros to Limnos ferries. Remember though, that the earlier you book, the cheaper prices normally are. So don't spend too long deciding! Paros to Limnos is a popular route, so we advise you to book as soon as possible. Paros is one of the smaller islands in the Cyclades but has long been a tourist favourite. Why? Because Paros is neither too busy like neigbouring Mykonos or too crowded like neighbouring Santorini. Here you'll find crystal clear water and an unspoled landscape including Paros park one of the few completely protected nature reserves in the Cyclades islands. The main town (Chora) is Parikia and here you'll find charming small shops and white-washed streets. 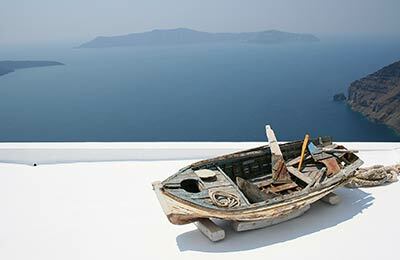 However, in recent years the nearby fishing village of Nauossa has become a more popular hot spot and especially in July and August it resembles a mini-Mkyonos. Paros has many fine tavernas and bars with mezze and you'll never be stuck for choice. But if it's clubs and dancing you want, stay clear. And in addition to the main settlements you'll find some charming villanges in the middle of the island like Lefkes - the old capita in times when pirates were a real threat and so the inland was much safer. Here you'll see how life used to be before tourism. If you're island hopping in the Cyclades, Paros should definitely be on your itinerary. Limnos is one of the lesser well-known Greek islands, and as such is not as popular with tourists as some of the larger Greek islands. As such, Limnos has retained its authentic Greek charm and traditional ways. Limnos boasts beautiful beaches, numerous archaeological sites and superb, unspoiled landscape. Limnos' main town, Myrina, lies on the island's west coast and features the ruins of a Venetian castle as well as local amenities such as bars and restaurants. Limnos is known for its traditional local produce such as cheese, wine, honey and pasta.